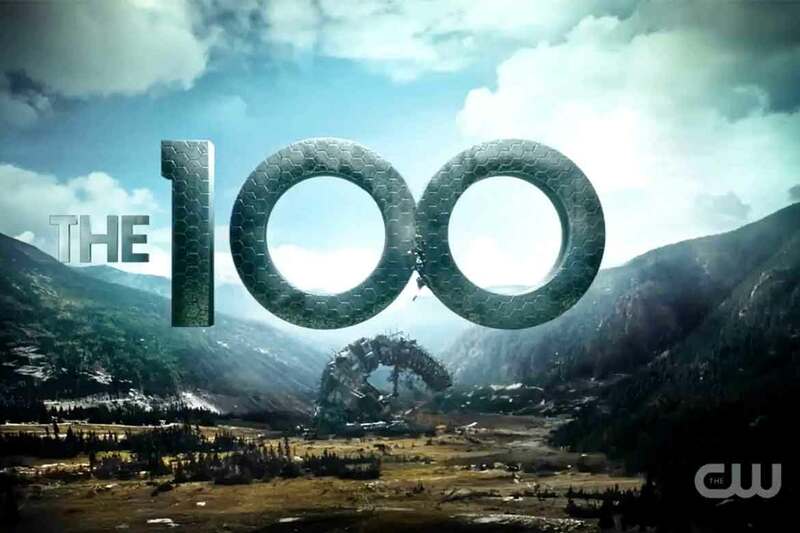 The 100 (R), pronounced The Hundred, is an American post-apocalyptic science fiction drama television series. 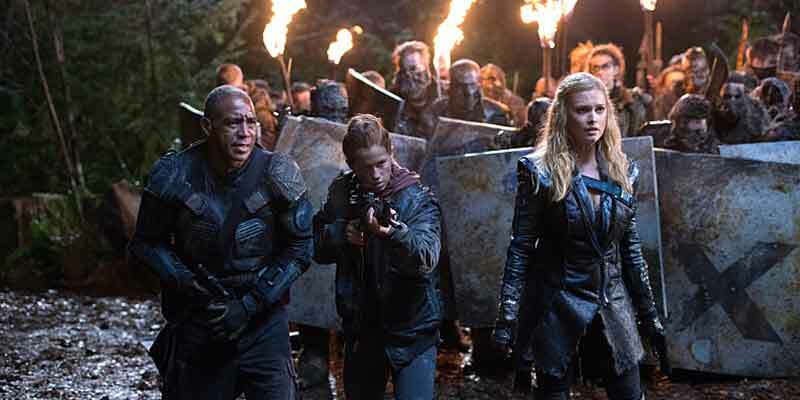 The series follows a group of post-apocalyptic survivors, chiefly a group of adolescents, including Clarke Griffin, Bellamy Blake, Octavia Blake, Jasper Jordan, Monty Green, Raven Reyes, Finn Collins, John Murphy, and Wells Jaha. They are among the first people from a space habitat, “The Ark”, to return to Earth after a devastating nuclear apocalypse. The series is set 97 years after a devastating nuclear apocalypse wiped out almost all life on Earth. Over 2,400 survivors live on a single massive station in Earth’s orbit called “The Ark”. After the Ark’s life-support systems are found to be failing, 100 juvenile prisoners are sent to the surface in a last attempt to determine whether Earth is habitable. They discover not all humanity was destroyed and some survived the apocalypse. 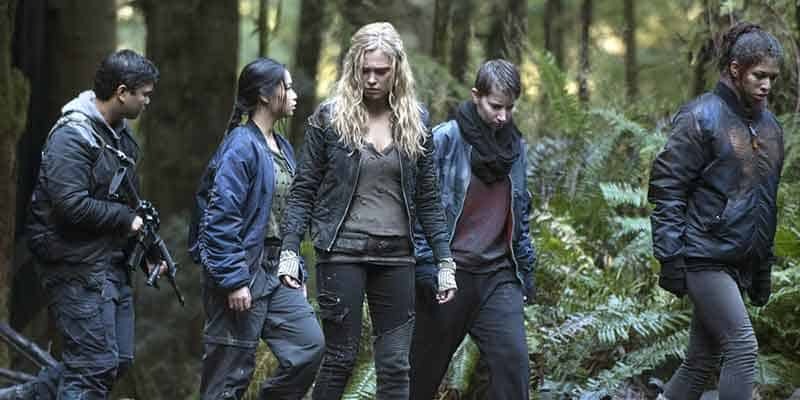 There are several different ways to watch The 100 without cable. This TV show was aired on The CW. To find which online TV streaming services have The CW as part of their channel lineup you can read our streaming services review. You can use a streaming service to watch on-demand or on live television. It is also possible to buy on Apple iTunes, Google Play Movies, Vudu, Amazon Instant Video, PlayStation, Microsoft Store, FandangoNOW as a download or rent it on Microsoft Store online. Below are our top choices to watch The 100.
fuboTV is a live TV streaming service. fuboTV was specifically designed for sports cord cutters but is actually really great for network television series too. The CW has been added to many markets over the past year. The base channel package which starts at $39.99/month and also includes 84 channels. fuboTV has one of the most robust channel line-ups. To learn more about this service read our fuboTV review. Hulu is both a live TV streaming service and an on-demand streaming service. You can either watch this show live as it airs or you can watch the most recent season and episodes on-demand. Plans begin at $39.99/month. To learn more about this service read our Hulu review. DIRECTV NOW is a live TV streaming service. The CW is included in the base streaming plan. Plans start at $40/month and include 60+ channels. There are no annual contracts or cumbersome satellite dishes. To learn more about this service read our DIRECTV NOW review. Netflix is an on-demand streaming service. Netflix lets you binge-watch entire seasons of The 100. This is the least expensive way to catch this amazing TV show as plans begin at $7.99/month. To learn more about this service read our Netflix review. This TV show can be found on just about any streaming device on the market. You can stream on a tablet, smart phone, gaming console, desktop, or a streaming device such as a Roku, Apple TV, Chromecast, AirTV, Amazon Fire TV, and more. Here are some of the top devices that can be used to access one of the services that carry The 100. To learn more click on the icons below or read our streaming device guide. The 100 can be streamed using a VPN. A VPN can unlock content from services such as Netflix. You can also use a VPN to bypass blackout restrictions and geo-blocking. A VPN will increase your online security and protect your online devices. This is very useful in the United States but is even more useful internationally. By using a VPN you can view this TV show while in another country. Not every VPN is created equally so we have chosen a few that we believe to be the best VPNs to pair with streaming services such as: ExpressVPN, NordVPN, and CyberGhost VPN. Cord Cutting Reviews is committed to helping you achieve the best cord-cutting experience possible. We thank you for reading our article and hope that you found it useful. We are committed to providing up-to-date information, reviews, and guides about streaming services and devices. @2018 - Cord Cutting Reviews. All Right Reserved.